The powerful engraving The Dragon Devouring the Companions of Cadmus (c.1588), which has frequently been out on loan received treatment, as did a second copy of this engraving which had previously been kept in storage due to its condition. 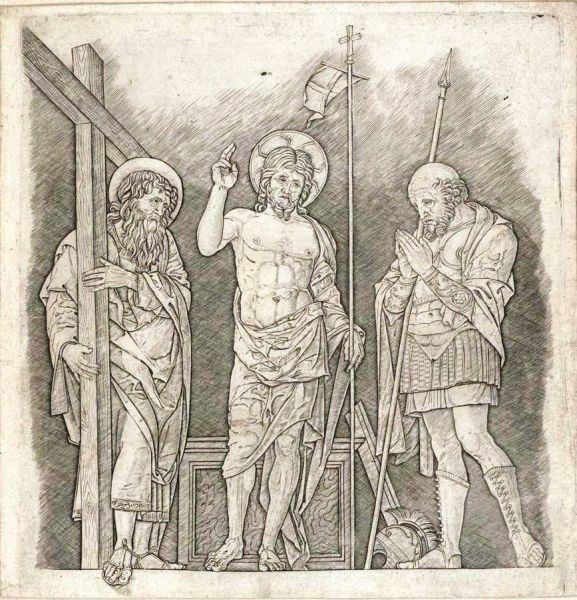 The Library’s collection of engravings after Andrea Mantegna was also conserved. Mantegna, one of the earliest Italian practitioners of the technique, only made a handful of impressions himself and oversaw the production of a group of further works. This important conservation work will help ensure the longevity of these rare prints and opens the door to their continued research, exhibition and enjoyment.